The international volunteers of YPG announced that they would join the mobilization to defend Afrin. The fighters have arrived in Afrin to join the resistance! Thousands of fighters announced before that they would attend the mobilization for Afrin. The internationalist volunteers’ units, who recently arrived in Afrin Canton, in a press release said they would join the resistance against Turkey. “The world has turned a blind eye to Afrin. Nobody knows what really is going on here. But we are determined to protect our soil. 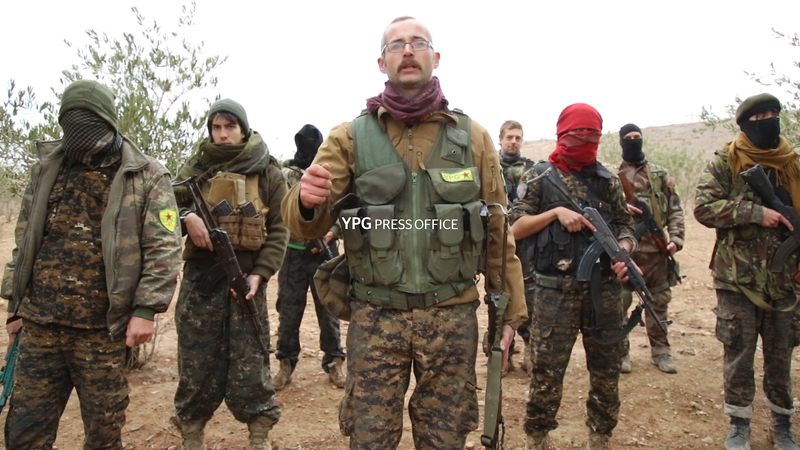 No matter it is against ISIS terrorism or Turkey’s state terrorism.” Said Tolhildan, French volunteer fighter. Another group of foreign fighters had gone to Afrin to join the fight against Turkish occupation army and its jihadists.